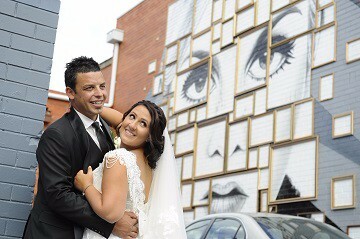 Sandy & Shane started their wedding planning with a look through the Easy Weddings website, searching for the perfect wedding venue for their wedding reception. 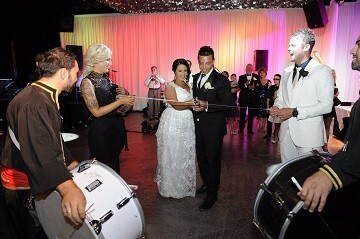 They decided to come look at Red Scooter because they wanted something fun and unique and something that suited their black & white theme. 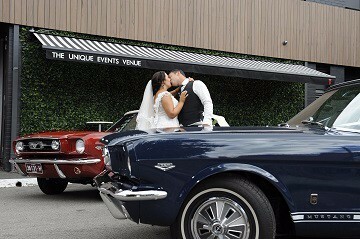 They loved the venue so much that they booked on the spot. 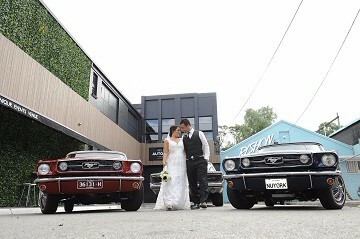 Following their wedding ceremony in East Melbourne, Sandy & Shane arrived at Red Scooter in a convoy of classic Mustang’s. 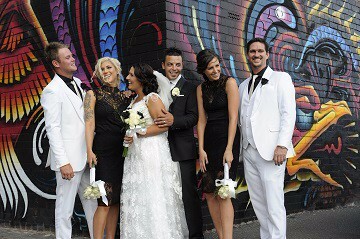 While the guests feasted on canapés in the Dakota Room, the bride & groom enjoyed some photo time with their bridal party, taking advantage of the iconic graffiti walls around the venue. 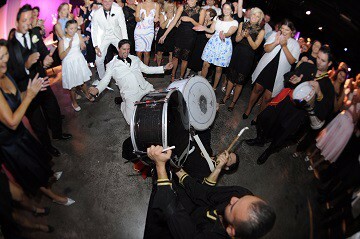 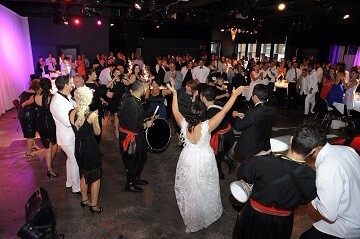 After the Madisson Room was revealed giving a WOW factor, the bridal party was introduced amongst the drums and whistles of Lebanese drummers who hyped the crowed and set the tone for an amazing party for the rest of the night. 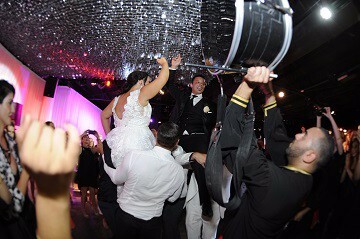 To see more of the amazing wedding of Sandy & Shane, check out their wedding video.